Our Westchester movers offer professional moving and storage in New Rochelle, NY towns including: Port Chester, Westchester, Yonkers, White Plains, Peekskill, Rye, and Harrison. 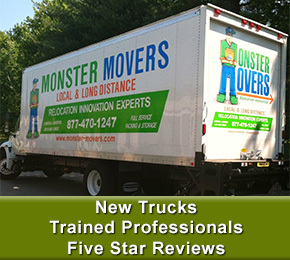 We also offer flat rate prices on all long distance moves from NYC. The moving process begins with an on-site estimate or you can fill out our detailed online inventory on the right – a second screen will pop up after inputting the basic information. We will then send a virtually instant moving quote to your email. All of our moves are done by our movers ( we never sell/buy or transfer your move to any other operation). Local moving rates start at $109 for two men and a truck. Long distance flat moving rates are a bit more complicated – you can refer to the schedule on the right for pricing and expected delivery dates for your move.